Assam ( listen ) is a state in northeastern India, south of the eastern Himalayas along the Brahmaputra and Barak Valley. Assam covers an area of 30,285 sq mi (78,440 km2). The state is bordered by Bhutan and the state of Arunachal Pradesh to the north; Nagaland and Manipur to the east; Meghalaya, Tripura, Mizoram, and Bangladesh to the south; and West Bengal to the west via the Siliguri Corridor, a 22 kilometres (14 mi) strip of land which connects the state to the rest of India. The precise etymology of modern anglicised word "Assam" is ambiguous. In the classical period and up to the 12th century the region east of the Karatoya river, largely congruent to present-day Assam, was called Kamarupa, and alternatively, Pragjyotisha. In medieval times the Mughals used Asham (eastern Assam) and Kamrup (western Assam), and during British colonialism, the English used Assam. Though many authors have associated the name with the 13th century Shan invaders the precise origin of the name is not clear. It was suggested by some that the Sanskrit word Asama ("unequalled", "peerless", etc.) was the root, which has been rejected by Kakati, and more recent authors have concurred that it is a latter-day Sanskritization of a native name. Among possible origins are Tai (A-Cham) and Bodo (Ha-Sam). According to a late text, Kalika Purana (c. 9th–10th century AD), the earliest ruler of Assam was Mahiranga Danav of the Danava dynasty, which was removed by Naraka of Mithila who established the Naraka dynasty. The last of these rulers, also Naraka, was slain by Krishna. Naraka's son Bhagadatta became the king, who (it is mentioned in the Mahabharata) fought for the Kauravas in the battle of Kurukshetra with an army of kiratas, chinas and dwellers of the eastern coast. At the same time towards east in central Assam, Asura Kingdom was ruled by indigenous line of kings of Mariachi dynasty. Samudragupta's 4th century Allahabad pillar inscription mentions Kamarupa (Western Assam) and Davaka (Central Assam) as frontier kingdoms of the Gupta Empire. Ruled by three dynasties Varmanas (c. 350–650 CE), Mlechchha dynasty (c.655–900 CE) and Kamarupa-Palas (c. 900–1100 CE), from their capitals in present-day Guwahati (Pragjyotishpura), Tezpur (Haruppeswara) and North Gauhati (Durjaya) respectively. All three dynasties claimed their descent from Narakasura, an immigrant from Aryavarta. In the reign of the Varman king, Bhaskaravarman (c. 600–650 AD), the Chinese traveller Xuanzang visited the region and recorded his travels. Later, after weakening and disintegration (after the Kamarupa-Palas), the Kamarupa tradition was somewhat extended till c. 1255 AD by the Lunar I (c. 1120–1185 AD) and Lunar II (c. 1155–1255 AD) dynasties. Three later dynasties, the Ahoms, the Sutiya and the Koch. The Ahoms, a Tai group, ruled Upper Assam for nearly 600 years (1228–1826 AD) while the Sutiya rulers (1187–1673 AD) held the regions on the north bank of Brahmaputra with its domain from Vishwanath in the west to Parshuram Kund in the east in Upper Assam and in the state of Arunachal Pradesh. The Koch, a Tibeto-Burmese, established sovereignty in c. 1510 AD. The Koch kingdom in western Assam and present North Bengal was at its zenith in the early reign of Naranarayana (c. 1540–1587 AD). It split into two in c. 1581 AD, the western part as a Moghul vassal and the eastern as an Ahom satellite state. Since c. the 13th century AD, the nerve centre of Ahom polity was upper Assam; the kingdom was gradually extended till Karatoya River in the c. 17th or 18th century. It was at its zenith during the reign of Sukhrungpha or Sworgodeu Rudra Sinha (c. 1696–1714 AD). Among other dynasty, the Kacharis (13th century-1854 AD) ruled from Dikhow River to central and southern Assam and had their capital at Dimapur. The rivalry between the Sutiyas and Ahoms for the supremacy of eastern Assam led to a series of battles between them from the early 16th century till the start of the 17th century, which saw great loss of men and money. With expansion of Ahom kingdom, by the early 17th century, the Sutiya areas were annexed and since c. 1536 AD Kacharis remained only in Cachar and North Cachar more as an Ahom ally then a competing force. Despite numerous invasions, mostly by the Muslim rulers, no western power ruled Assam until the arrival of the British. Though the Mughals made seventeen attempts to invade, they were never successful. The most successful invader Mir Jumla, a governor of Aurangzeb, briefly occupied Garhgaon (c. 1662–63 AD), the then capital, but found it difficult to control people making guerrilla attacks on his forces, forcing them to leave. The decisive victory of the Assamese led by the great general Lachit Borphukan on the Mughals, then under command of Raja Ram Singha at Saraighat (1671) had almost ended Mughal ambitions in this region. Mughals were finally expelled from Lower Assam during the reign of Gadadhar Singha in 1682 AD. The discovery of Camellia sinensis in 1834 in Assam was followed by its tests in 1836–37 in London. The British allowed companies to rent land from 1839 onwards. Thereafter tea plantations mushroomed in Eastern Assam, where the soil and the climate were most suitable. Problems with the imported labourers from China and hostilities of native Assamese resulted in migration of forced labourers from central and eastern parts of India. After initial trial and error with planting the Chinese and the Assamese-Chinese hybrid varieties, the planters later accepted the local Camellia assamica as the most suitable one for Assam. By the 1850s, the industry started seeing some profits. Industry saw initial growth, when in 1861, investors were allowed to own land in Assam and it saw substantial progress with invention of new technologies and machinery for preparing processed tea during the 1870s. Despite the commercial success, tea labourers continued to be exploited, working and living under poor conditions. Fearful of greater government interference, the tea growers formed the Indian Tea Association in 1888 to lobby to retain the status quo. The organisation was very successful in this, and even after India’s independence, conditions of the labourers have improved very little. In the later part of the 18th century, religious tensions and atrocities of nobles led to the Moamoria rebellion, resulting in tremendous casualties of lives and property. The rebellion was suppressed but the kingdom was severely weakened by the civil war. Political rivalry between Prime Minister Purnananda Burhagohain and Badan Chandra Borphukan, the Ahom Viceroy of Western Assam, led to the invitation to the Burmese by the latter, in turn leading to three successive Burmese invasions of Assam. The reigning monarch Chandrakanta Singha tried to check the Burmese invaders but he was defeated after fierce resistance. Initially Assam was made a part of the Bengal Presidency, then in 1906 it was a part of Eastern Bengal and Assam province, and in 1912 it was reconstituted into a chief commissioners' province. In 1913, a legislative council and, in 1937, the Assam Legislative Assembly, were formed in Shillong, the erstwhile capital of the region. 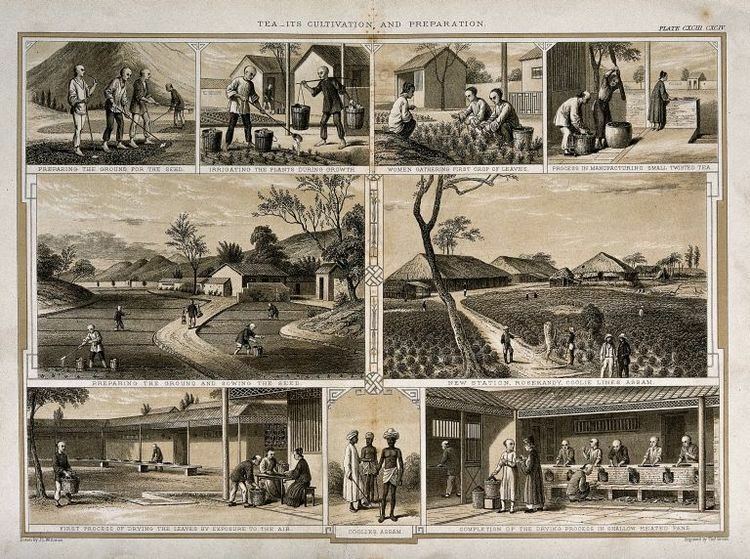 The British tea planters imported labour from central India adding to the demographic canvas. After a few initial unsuccessful attempts to gain independence for Assam during the 1850s, anti-colonial Assamese joined and actively supported the Indian National Congress against the British from the early 20th century, with Gopinath Bordoloi emerging as the preeminent nationalist leader in the Assam Congress. Bordoloi's major political rival in this time was Sir Saidullah, who was representing the Muslim League, and had the backing of the influential Muslim cleric Maulana Bhasani. At the turn of the 20th century, British India consisted of eight provinces that were administered either by a governor or a lieutenant-governor. The Assam Province was one among major eight provinces of British India. The table hereafter shows the major original provinces during British India covering the Assam Province under Administrative Office of Chief Commissioner. With the partition of India in 1947, Assam became a constituent state of India. The district of Sylhet of Assam (excluding the Karimganj subdivision) was given up to East Pakistan (which later became Bangladesh). Since the restructuring of Assam after independence, communal tensions and violence remain there. Separatist groups began forming along ethnic lines, and demands for autonomy and sovereignty grew, resulting in fragmentation of Assam. In 1961, the Government of Assam passed a legislation making use of the Assamese language compulsory. It was withdrawn later under pressure from Bengali speaking people in Cachar. In the 1980s the Brahmaputra valley saw a six-year Assam Agitation triggered by the discovery of a sudden rise in registered voters on electoral rolls. It tried to force the government to identify and deport foreigners illegally migrating from neighbouring Bangladesh and changing the demographics. The agitation ended after an accord between its leaders and the Union Government, which remained unimplemented, causing simmering discontent. The post 1970s experienced the growth of armed separatist groups like United Liberation Front of Asom (ULFA) and National Democratic Front of Bodoland (NDFB). In November 1990, the Government of India deployed the Indian army, after which low-intensity military conflicts and political homicides have been continuing for more than a decade. In recent times, ethnicity based militant groups have grown. Regional autonomy has been ensured for Bodo-Kachari community in Bodoland Territorial Council Areas (BTC), for the Karbis in Karbi Anglong and for the people of Dima Hasao district under the 6th schedule and Autonomous District Councils (ADC) areas under Indian constitution, while Non-6th Schedule States in the North-East where under 73rd and 74th amendments (Panchayati Raj Institutions) have been applied in Assam (excluding Karbi Anglong Autonomous District Council and North Cachar Hills Autonomous Council), after agitation of the communities due to sluggish rate of development and general apathy of successive state governments towards indigenous communities. A significant geographical aspect of Assam is that it contains three of six physiographic divisions of India – The Northern Himalayas (Eastern Hills), The Northern Plains (Brahmaputra plain) and Deccan Plateau (Karbi Anglong). As the Brahmaputra flows in Assam the climate here is cold and there is rainfall most of the month.Geomorphic studies conclude that the Brahmaputra, the life-line of Assam is an antecedent river, older than the Himalayas. The river with steep gorges and rapids in Arunachal Pradesh entering Assam, becomes a braided river (at times 10 mi/16 km wide) and with tributaries, creates a flood plain (Brahmaputra Valley: 50–60 mi/80–100 km wide, 600 mi/1000 km long). 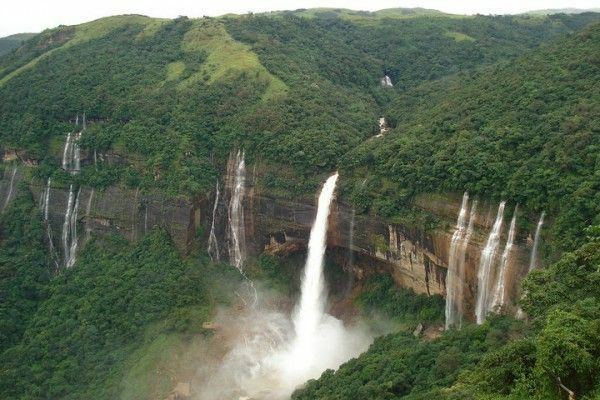 The hills of Karbi Anglong, North Cachar and those in and close to Guwahati (also Khasi-Garo Hills) now eroded and dissected are originally parts of the South Indian Plateau system. In the south, the Barak originating in the Barail Range (Assam-Nagaland border) flows through the Cachar district with a 25–30 miles (40–50 km) wide valley and enters Bangladesh with the name Surma River. Urban Centres include Guwahati, one of the 100 fastest growing cities in the world. Guwahati is the gateway to the North-East India. Silchar, (in the Barak valley) the 2nd most populous city in Assam and an important centre of business, education and tourism. Other large cities include Dibrugarh, a oil, natural gas, tea and tourism industry;,Jorhat and Tinsukia. Assam has wildlife sanctuaries, the most prominent of which are two UNESCO World Heritage sites-the Kaziranga National Park, on the bank of the Brahmaputra River, and the Manas Wildlife Sanctuary, near the border with Bhutan. The Kaziranga is a refuge for the fast-disappearing Indian one-horned rhinoceros. The state is the last refuge for numerous other endangered and threatened species including the white-winged wood duck or deohanh, Bengal florican, black-breasted parrotbill, red-headed vulture, white-rumped vulture, greater adjutant, Jerdon's babbler, rufous-necked hornbill, Bengal tiger, Asian elephant, pygmy hog, gaur, wild water buffalo, Indian hog deer, hoolock gibbon, golden langur, capped langur, barasingha, Ganges river dolphin, Barca snakehead, Ganges shark, Burmese python, brahminy river turtle, black pond turtle, Asian forest tortoise, and Assam roofed turtle. Threatened species that are extinct in Assam include the gharial, a critically endangered fish-eating crocodilian, and the pink-headed duck (which may be extinct worldwide). For the state bird, the white-winged wood duck, Assam is a globally important area. In addition to the above, there are three other National Parks in Assam namely Dibru Saikhowa National Park, Nameri National Park and the Orang National Park. Total population of Assam was 26.66 million with 4.91 million households in 2001. Higher population concentration was recorded in the districts of Kamrup, Nagaon, Sonitpur, Barpeta, Dhubri, Darrang, and Cachar. Assam's population was estimated at 28.67 million in 2006 and at 30.57 million in 2011 and is expected to reach 34.18 million by 2021 and 35.60 million by 2026. Of the 32 districts, eight districts registered rise in the decadal population growth rate. Religious minority-dominated districts like Dhubri, Goalpara, Barpeta, Morigaon, Nagaon, and Hailakandi, recorded growth rates ranging from 20 per cent to 24 per cent during the last decade. Eastern Assam districts including Sivasagar, and Jorhat registered around 9 per cent population growth. These districts do not share any international border. In 2011, literacy rate in the state was 73.18%. Male literacy rate was 78.81% and female literacy rate was 67.27%. In 2001, the census had recorded literacy in Assam at 63.3% with male literacy at 71.3% and female at 54.6%. Urbanisation rate was recorded at 12.9%. Growth of population in Assam has risen since the mid-decades of the 20th century. Population grew from 3.29 million in 1901 to 6.70 million in 1941. It increased to 14.63 million in 1971 and 22.41 million in 1991. The growth in the western and southern districts was high primarily due to the influx of people from East Pakistan, now Bangladesh. The mistrust and clashes between native Bodos and Bengali Muslims started as early as 1952, but is rooted in anti Bengali sentiments of the 1940s. At least 77 people died and 400,000 people was displaced in the 2012 Assam violence between indigenous Bodos and Bengali Muslims. The People of India project has studied 115 of the ethnic groups in Assam. 79 (69%) identify themselves regionally, 22 (19%) locally, and 3 trans-nationally. The earliest settlers were Austroasiatic and Dravidians speakers, followed by Tibeto-Burman, Indo-Aryan speakers, and Tai–Kadai speakers. Forty-five languages are spoken by different communities, including three major language families: Austroasiatic (5), Sino-Tibetan (24) and Indo-European (12). Three of the spoken languages do not fall in these families. There is a high degree of bilingualism. According to the 2011 census, 61.47% were Hindus, 34.22% were Muslims. Christian minorities (3.7%) are found among Scheduled Tribe population. Scheduled Tribe population in Assam is around 13% in which Bodos account for 40%. Other religions followed include Jainism (0.1%), Buddhism (0.2%), Sikhism (0.1%) and Animism (amongst Khamti, Phake, Aiton etc. communities). Many Hindus in Assam are followers of Ekasarana Dharma a sect of Hinduism that gave rise to Namghar designed to be simpler places of worship than traditional Hindu temples. Assamese and Bodo are the major indigenous and official languages while Bengali holds official status in the three districts in the Barak Valley and is the second most widely spoken language of the state. According to Language census of 2001 in Assam out of total population of 26,638,407 Assamese is spoken by 13,010,478 speakers (48.84%), Bengali is spoken by 7,343,388 speakers (27.56%), Hindi by 1,569,662 speakers (5.88%), Bodo by 1,296,162 speakers (4.86%), Nepali by 564,790 speakers (2.12%), Mishing by 506,129 speakers (1.9%), Karbi by 401,212 speakers (1.5%), Santali by 242,886 speakers (0.91%), Odia by 231,474 speakers (0.87%) and 1,611,623 (6.05%) speak other languages. Traditionally, Assamese was the language of the common folk (of mixed origin – Austroasiatic, Tibeto-Burman, Prakrit) in the ancient Kamarupa kingdom and in the medieval kingdoms of Kamatapur, Kachari, Sutiya, Borahi, Ahom and Koch. Traces of the language are found in many poems by Luipa, Sarahapa, etc. in Charyapada (c. 7th–8th century AD). Modern dialects Kamrupi, Goalpariya etc. are the remnants. Moreover, Assamese in its traditional form was used by the ethno-cultural groups in the region as lingua-franca, which spread during the stronger kingdoms and was required for needed economic integration. Localised forms of the language still exist in Nagaland, Arunachal Pradesh. The form used in the upper Assam was enriched by the advent of Tai-Shans in the 13th century. Linguistically modern Assamese traces its roots to the version developed by the American Missionaries based on the local form in practice near Sivasagar (Xiwôxagôr) district. Assamese (Ôxômiya) is a rich language due to its hybrid nature with its unique characteristics of pronunciation and softness. Assamese literature is one of the richest. The word Dimasa etymologically translates to "Son of the big river " (Di- Water, ma- suffix for great, sa-sons), the river being the mighty Brahmaputra. The Dimasa word "Di" for water forms the root word for many of the major rivers of Assam and the North East India like Dikrang which means green river, Dikhow which means "fetched water", Diyung (huge river) etc. The Brahmaputra River is known as Dilao (long river) among the Dimasas. Many of the towns and cities in Assam and Nagaland derived their names from Dimasa words. For example, Dimapur (a capital of Dimasa Kingdom), Dispur, Hojai, Diphu and Khaspur. Bodo is an ancient language of Assam. Spatial distribution patterns of the ethno-cultural groups, cultural traits and the phenomenon of naming all the major rivers in the North East Region with Bodo-Kachari words (e.g. Dihing, Dibru, Dihong, D/Tista, Dikrai, etc.) reveal that it was the most important language in the ancient times. Bodo is now spoken largely in the Western Assam (Bodo Territorial Council area). After years of neglect, now Bodo language is getting attention and its literature is developing. Other native languages of Tibeto-Burman origin and related to Bodo-Kachari are Deori , Mising, Karbi, Rabha, and Tiwa. Kuki is another native language of Assam belonging to the Tibeto-Burman group. However it does not belong to the Bodo-Kachari group. There are approximately 5.64 lakhs Nepali speakers spread all over the state forming about 2.12% of Assam's total population according to 2001 census. Assam has a Governor as the head of the state, the unicameral Assam Legislative Assembly of 126 members, and a government led by the Chief Minister of Assam. The state is divided into five regional divisions. As of June 2016, the state has 33 administrative districts. On 15 August 2015, five new districts were formed in addition to former 27 districts. The five new districts are Biswanath (carved out of Sonitpur), Charaideo (of Sivasagar), Hojai (of Nagaon), South Salmara-Mankachar (of Dhubri) and West Karbi Anglong (of Karbi Anglong). On 27 June 2016, Majuli declared as district (1st river island district of India). These districts are further sub-divided into 54 "Sub-divisions" or Mahakuma. Every district is administered from a district headquarters with the office of the Deputy Commissioner, District Magistrate, Office of the District Panchayat and usually with a district court. Guwahati is the largest metropolitan area and urban conglomeration administered under the highest form of urban local body – Guwahati Municipal Corporation in Assam. The Corporation administers an area of 216.79 km². All other urban centres are managed under Municipal Boards. The state has nine autonomous councils. The economy of Assam today represents a unique juxtaposition of backwardness amidst plenty. Despite its rich natural resources, and supplying of up to 25% of India's petroleum needs, Assam’s growth rate has not kept pace with that of India; the difference has increased rapidly since the 1970s. The Indian economy grew at 6% per annum over the period of 1981 to 2000; the growth rate of Assam was only 3.3%. In the Sixth Plan period, Assam experienced a negative growth rate of 3.78% when India's was positive at 6%. In the post-liberalised era (after 1991), the difference widened further. According to recent analysis, Assam’s economy is showing signs of improvement. In 2001–02, the economy grew (at 1993–94 constant prices) at 4.5%, falling to 3.4% in the next financial year. During 2003–04 and 2004–05, the economy grew (at 1993–94 constant prices) at 5.5% and 5.3% respectively. The advanced estimates placed the growth rate for 2005–06 at above 6%. Assam's GDP in 2004 is estimated at $13 billion in current prices. Sectoral analysis again exhibits a dismal picture. The average annual growth rate of agriculture, which was 2.6% per annum over the 1980s, has fallen to 1.6% in the 1990s. The manufacturing sector showed some improvement in the 1990s with a growth rate of 3.4% per annum than 2.4% in the 1980s. For the past five decades, the tertiary sector has registered the highest growth rates of the other sectors, which even has slowed down in the 1990s than in the 1980s. Unemployment is one of the major problems of Assam which can be attributed to overpopulation, and a faulty education system. Every year, large numbers of students obtain higher academic degrees but because of non-availability of proportional vacancies, most of these students remain unemployed. A number of employers hire over-qualified or efficient, but under-certified, candidates, or candidates with narrowly-defined qualifications. The problem is exacerbated by the growth in the number of technical institutes in Assam which increases the unemployed community of the State. Many job-seekers are ineligible for jobs in sectors like Railways, and Oil India by the appointment of candidates from outside Assam to those posts. Reduction of the unemployed has been threatened by illegal immigration from Bangladesh. This has increased the workforce without a commensurate increase in jobs. Immigrants compete with local workers for jobs at lower wages, particularly in construction, domestics, Rickshaw-pullers, and vegetable sellers. The government has been identifying (via NRC) and deporting illegals. Continued immigration is exceeding deportation. In Assam among all the productive sectors, agriculture makes the highest contribution to its domestic sectors, accounting for more than a third of Assam’s income and employs 69% of workforce. Assam's biggest contribution to the world is Assam tea. It has its own variety Camellia assamica. The state produces rice, rapeseed, mustard seed, jute, potato, sweet potato, banana, papaya, areca nut, sugarcane and turmeric. Assam’s agriculture is yet to experience modernisation in a real sense. With implications for food security, per capita food grain production has declined in the past five decades. Productivity has increased marginally, but is still low compared to highly productive regions. For instance, the yield of rice (staple food of Assam) was just 1531 kg per hectare against India’s 1927 kg per hectare in 2000–01 (which itself is much lower than Egypt’s 9283, US’s 7279, South Korea’s 6838, Japan’s 6635 and China’s 6131 kg per hectare in 2001). On the other hand, after having strong domestic demand, and with 1.5 million hectares of inland water bodies, numerous rivers and 165 varieties of fishes, fishing is still in its traditional form and production is not self-sufficient. The Assam Agricultural University is located at Jorhat, Assam. Flood in Assam greatly affects the farmers and the families dependent on agriculture because of large-scale damage of agricultural fields and crops by flood water. Assam's proximity to some neighbouring countries such as Bangladesh, Nepal and Bhutan, benefits its trade. The major Border checkpoints through which border trade flows to Bangladesh from Assam are :- Sutarkandi (Karimganj), Dhubri, Mankachar (Dhubri) and Golokanj. To facilitate border trade with Bangladesh, Border Trade Centres have been developed at Sutarkandi and Mankachar. It has been proposed in the 11th five-year plan to set up two more Border Trade Center, one at Ledo connecting China and other at Darrang connecting Bhutan. There are several Land Custom Stations (LCS) in the state bordering Bangladesh and Bhutan to facilitate border trade. Although, the region in the eastern periphery of India is landlocked and is linked to the mainland by the narrow Siliguri Corridor (or the Chicken's Neck) improved transport infrastructure in all the three modes — rail, road and air — and developing urban infrastructure in the cities and towns of Assam are giving a boost to the entire industrial scene. The Lokpriya Gopinath Bordoloi International Airport at Guwahati, although is yet to be fully functional with international flights, was the 12th busiest airport of India in 2012. The cities of Guwahati in the West and Dibrugarh in the East with good rail, road and air connectivity are the two important nerve centres of Assam, to be selected by Asian Development Bank for providing $200 million for improvement of urban infrastructure. Assam is a producer of crude oil and it accounts for about 15% of India's crude output, exploited by the Assam Oil Company Ltd., and natural gas in India and is the second place in the world (after Titusville in the United States) where petroleum was discovered. Asia’s first successful mechanically drilled oil well was drilled in Makum way back in 1867. Most of the oilfields are located in the Eastern Assam region. Assam has four oil refineries in Digboi (Asia's first and world's second refinery), Guwahati, Bongaigaon and Numaligarh and with a total capacity of 7 million metric tonnes (7.7 million short tons) per annum. Asia's first refinery was set up at Digboi and discoverer of Digboi oilfield was the Assam Railways & Trading Company Limited (AR&T Co. Ltd.), a registered company of London in 1881. One of the biggest public sector oil company of the country Oil India Ltd. has its plant and headquarters at Duliajan. Establishment of the Sutiya dynasty in the 12th century in eastern Assam and assimilation for next 400 years. Vaishnava Movement led by Srimanta Shankardeva (Sonkordeu) and its contribution and cultural changes. Vaishanava Movement, the 15th century religio-cultural movement under the leadership of great Srimanta Sankardeva (Sonkordeu) and his disciples have provided another dimension to Assamese culture. A renewed Hinduisation in local forms took place, which was initially greatly supported by the Koch and later by the Ahom Kingdoms. The resultant social institutions such as namghar and sattra (the Vaishnav Monasteries) have become part of Assamese way life. The movement contributed greatly towards language, literature and performing and fine arts. Increasing efforts of standardisation in the 20th century alienated the localised forms present in different areas and with the less-assimilated ethno-cultural groups (many source-cultures). However, Assamese culture in its hybrid form and nature is one of the richest, still developing and in true sense is a 'cultural system' with sub-systems. It is interesting that many source-cultures of Assamese cultural-system are still surviving either as sub-systems or as sister entities, e.g. the tribal minorities such as; Bodo or Karbi or Mishing. It is important to keep the broader system closer to its roots and at the same time to focus on development of the sub-systems. Symbolism is an ancient cultural practice in Assam and is still a very important part of Assamese way of life. Various elements are being used to represent beliefs, feelings, pride, identity, etc. Tamulpan, Xorai and Gamosa are three important symbolic elements in Assamese culture. Tamulpan (the areca nut and betel leaves) or guapan (gua from kwa) are considered along with the Gamosa (a typical woven cotton or silk cloth with embroidery) as the offers of devotion, respect and friendship. The Tamulpan-tradition is an ancient one and is being followed since time-immemorial with roots in the aboriginal Austro-Asiatic culture. 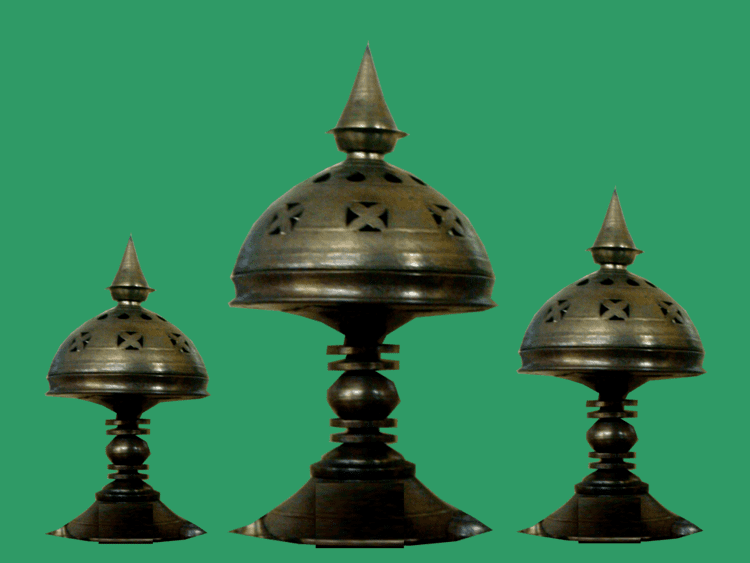 Xorai is a traditionally manufactured bell-metal article of great respect and is used as a container-medium while performing respectful offers. Moreover, symbolically many ethno-cultural groups use specific clothes to portray respect and pride. There were many other symbolic elements and designs, but are now only found in literature, art, sculpture, architecture, etc. or in use today for only religious purposes. The typical designs of assamese-lion, dragon, flying-lion(Hindi-udta sher), etc. were used for symbolising various purposes and occasions. The archaeological sites such as the Madan Kamdev (c. 9th–10th centuries AD) exhibits mass-scale use of lions, dragon-lions and many other figures of demons to show case power and prosperity. The Vaishnava monasteries and many other architectural sites of late medieval period display the use of lions and dragons for symbolic effects. There are diversified important traditional festivals in Assam. 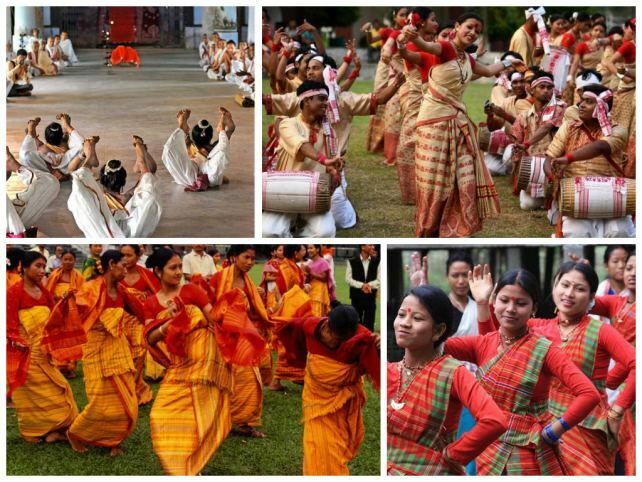 Bihu is the most important and common and celebrated all over Assam. It is the Assamese new year celebrated in April of the Gregorian calendar. Durga Puja is another festival celebrated with great enthusiasm. Muslims celebrate two Eids (Eid ul-Fitr and Eid al-Adha) with much eagerness all over Assam. Bwisagu is one of the popular seasonal festival of the Bodos. Bwisagu start of the new year or age. Baisagu is a Boro word which originated from the word "Baisa" which means year or age, ang "Agu" that means starting or start. Besides Bihu dance and Huchory performed during the Bohag Bihu, dance forms of tribal minorities such as; Kushan nritra of Rajbongshi's, Bagurumba and Bordoicikhla dance of Bodos, Mishing Bihu, Banjar Kekan performed during Chomangkan by Karbis, Jhumur of Tea tribes are some of the major folk dances. Sattriya (Sotriya) dance related to Vaishnav tradition is a classical form of dance. 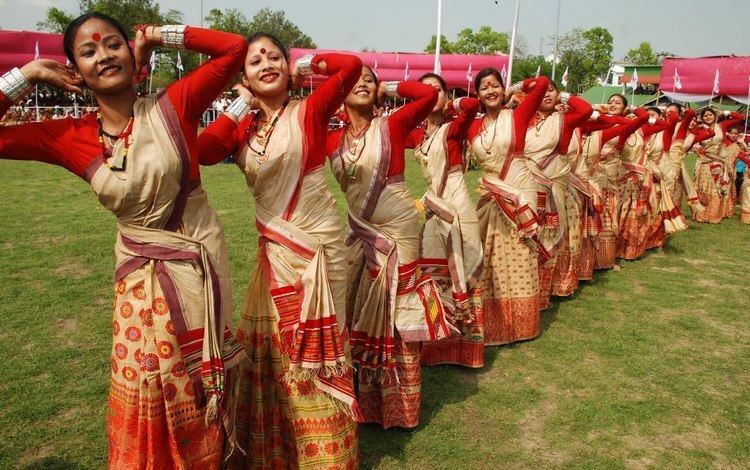 Moreover, there are several other age-old dance-forms such as Barpeta’s Bhortal Nritya, Deodhoni Nritya, Ojapali, Beula Dance, Ka Shad Inglong Kardom, Nimso Kerung, etc. The tradition of modern moving theatres is typical of Assam with immense popularity of many large theatre groups such as Kohinoor, Sankardev, Abahan, Bhagyadevi, Hengul, Brindabon, Itihas etc. 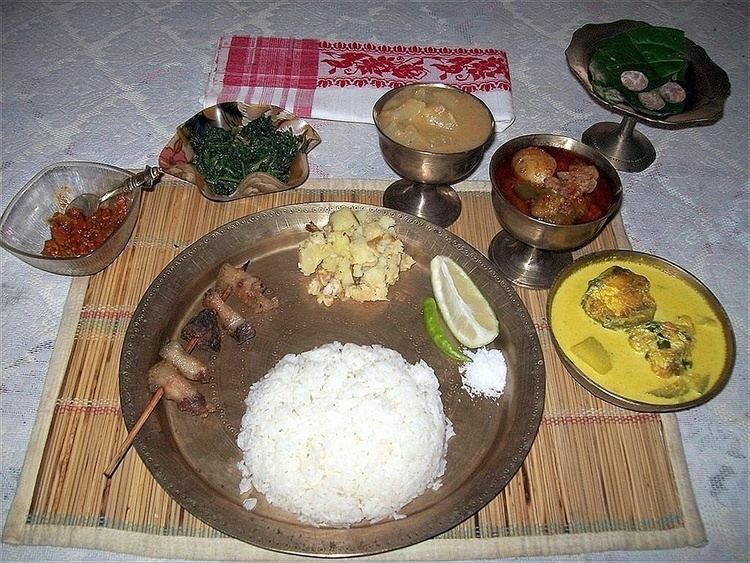 Typically, an Assamese meal consists of many things such as bhat (rice) with dal (lentils), masoor jool (fish curry), with mangxô (meat curry) or xaak and bhaji (herbs and vegetables). Rice is one of the main dishes of Assam, and a variety of different rices are grown and eaten in different ways: roasted, grounded, boiled or just soaked. Fish curries made of free range wild fish as well as "Bôralí","rôu, illish, or sitôl are the most popular. Fowl such as ducks and pigeon are used in dishes while pork(by tribals), chicken and mutton dishes are mainly popular among the younger generation. Another favourite combination is luchi (fried flatbread), a curry which can be vegetarian or non-vegetarian, and asar (pickle). 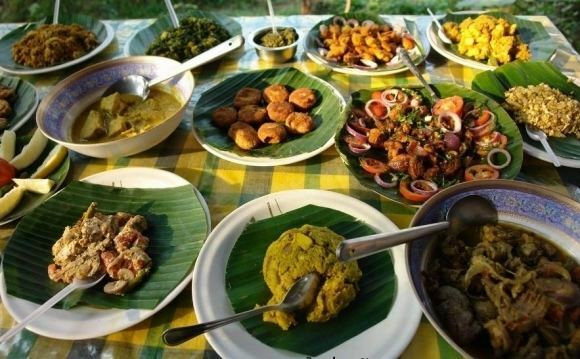 The two main characteristics of a traditional meal in Assam are khar (an Alkali, named after its main ingredient) and the sour dish tenga. Khorika is the smoked or fired meat eaten with the meal. The various meats more commonly taken include mutton, fowl, duck/goose, fish, pigeon, beef and pork(among Muslim, Christian and tribal communities respectively) ; these being often involved with religious ceremonies. Other kinds of meat include grasshoppers, locusts, silkworms, snails, eels, wild fowl and other birds, deer meat and so on. Khorisa (fermented bamboo shoots) are used at times to flavour curries while they can also be preserved and made into pickles. Koldil (banana flower) and squash can be cooked into sabji's. Many tribal households still continue to brew their traditional drinks; variously known as Laupani, Xaaj, Paniyo, Jou, Joumai, Hor, Apang, and so on. During the time of the traditional festivities, guests are offered these drinks. Declining then is considered socially offensive. The food is often served in bell metal dishes and platters like Knahi, Maihang and so on. Print media include Assamese dailies Amar Asom, Asomiya Khobor, Asomiya Pratidin, Dainik Agradoot, Dainik Janambhumi, Dainik Asam, Gana Adhikar, Janasadharan and Niyomiya Barta. Asom Bani, Sadin and Bhal Khabar are Assamese weekly newspapers. English dailies of Assam include The Assam Tribune, The Sentinel, The Telegraph, The Times of India and Eastern Chronicle. Thekar, in the Karbi language has the largest circulation of any daily from Karbi Anglong district. Bodosa has the highest circulation of any Bodo daily from BTC. Dainik Jugasankha is a Bengali daily with editions from Dibrugarh, Guwahati, Silchar and Kolkata. Dainik Samayik Prasanga, Dainik Prantojyoti, Dainik Janakantha and Nababarta Prasanga are other prominent Bengali dailies published in the Barak Valley towns of Karimganj and Silchar. Hindi dailies include Purvanchal Prahari, Pratah Khabar and Dainik Purvoday. Broadcasting stations of All India Radio have been established in five big cities: Dibrugarh, Guwahati, Kokrajhar, Silchar and Tezpur. Local news and music are the main priority for that station.Assam has three public service broadcasting service radio stationsat Dibrugarh, Guwahati and Silchar. Guwahati is the headquarters of a number of electronic medias like Assam Talks, DY 365, News Live, News 18 Assam/North-East, Prag News and Pratidin Time.